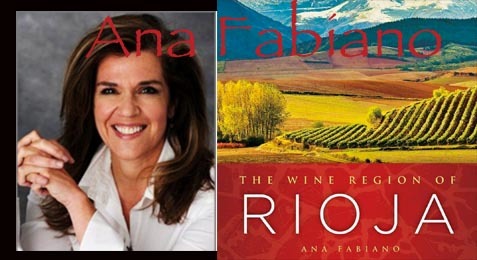 Ana Fabiano talks about the royal reds of Rioja. Heirloom Meals currently hosts a weekly radio show called, you guessed it, Heirloom Meals Radio,on the NPR station in Sharon, CT. Tune in to RobinHood Radio on WHDD 91.9 FM or AM 1020 - Saturdays at 5 p.m. or Sundays at 6:30 a.m. And, of course all our shows are archived here for your listening pleasure. Feel free to contact us if you want to be on the show and you can come into the studio or call in - your choice! Everyone loves to talk about their food memories and we have found that the radio works for the camera-shy. Really, it's like having an half-hour long conversation discussing something that everyone does - eat. But we talk about the memories that certain foods or aromas conjure up, your unique food histories and treasured family recipes. Andrea Lustig author of How to Look Expensive: A Beauty Editor's Secrets to Getting Gorgeous without Breaking the Bank. P.J Hamel, author of The King Arthur Flour Baker's companion, and writer for blog, Flourish. Andie Mitchell shares all with her debut memoir, It Was Me All Along. A touching account of her struggle with being fat, losing weight and finding the balance in life. You can always find past shows in our Archives section. Going on a long trip? Or just to the dentist? Take us with you! Download any of our shows via iTunes for free (works with PCs and Macs). iTunes also lets you subscribe to the show so that you automatically receive each new show after it’s aired. We'd love to have you on the show. So think about the following and send us an email: What were/are your most memorable family meals? What is it about those meals that you remember the most? The food? The table setting? The cast of characters? The stories? The preparation? All of these or more? What recipes do you still make? What are the memories and why? Are there recipes that you make but don't taste like Mom's or Auntie's? Are there some great tips that you took for granted but now really see the wisdom? This is what Heirloom Meals Radio wants to capture and we want YOU.